The Broke and the Bookish : Winner of the 2 Year Giveaway! Hello, everyone! For those of you in the USA, Happy Independence Day! I hope the weather is nice where y'all are at. I was run out of a ampitheater orchestral show last night by a pretty severe storm with lots of lightning. Needless to say I'll have to catch the fireworks tonight! Anyway, I wanted to announce the winner of The Broke and the Bookish 2 Year Blogoverary Giveaway! 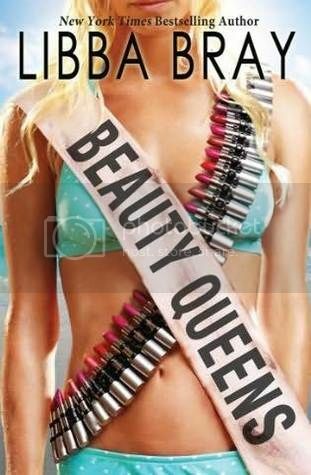 Brooke chose as her prize Beauty Queens by Libba Bray! Congratulations, Brooke! And thanks to all of you in joining us in supporting our anniversary!